Reminder: Our mandatory Oktoberfest performance is tomorrow (Saturday) morning. Call time in the band room, 7:30 am. Performance 8:15. Return to the band room at 9:00 am to unload and dismiss. Members of the band sit in concert chairs by an order based upon an audition on a specific day. We all have our good days and our bad ones, but with consistent practicing and director-guided learning, everyone can improve. Chair challenges between ensemble members offer an opportunity to advance within the section. • No one is required to participate in a chair challenge. If someone seeks to challenge you, you may decline the challenge. If you refuse, however, you must swap chair positions with your challenger. • Challenges will be held at the director’s discretion and at a mutually convenient time for all parties. 1. Students may move up or down one chair per challenge session. You may only challenge the person just ahead of you on the list (the chair next to you). To gain entry into an ensemble, you must begin by challenging the lowest position in your section. 2. Challengers must perform music chosen by the director. When a date and time are agreed upon by all parties, the director will supply challenge repertoire to both challengers within 48 hours. 3. The director’s decision is final. Any disruptions or rules broken during a challenge by anyone in the band room will result in a lost chair position. FOLLOW THE BAND ROOM PROCEDURES AND RULES! Band students are not allowed to drop band over losing a challenge. Band is not a club but a class. The band director will always assist anyone asking for extra help. Chair challenge periods are open at the director’s discretion and may be closed by the director at any time for any reason, including proximity to an upcoming performance or ensemble audition. *Note: Students registered for 7th period/4th block band but not listed in the above roster were absent from the 10/25/10 audition and will therefore be required to challenge for placement into the concert and/or jazz bands. Rules for chair challenges will be placed on the website and distributed in hard copy during band class on 10/26/10. Please check your name on the list of senior members below. If your name is missing, please notify Dr. Sargent immediately at brad.sargent@sccboe.org. We need to be sure you are recognized on senior night. Thank you! 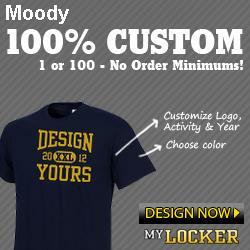 A file has been posted to Yahoo Groups containing an order form for band letter jackets. A representative from the Neff company will be in the band room at 1:30 on Monday, October 25 to size jackets and take orders. I will place hard copies of the order forms in the band room today. Please note-- Purchasing a letter jacket is an option for students and parents. The letter jacket is not a required part of our uniform. Those who purchase jackets should deal directly with the Neff company. If you desire to purchase a letter jacket, please follow the instructions on the order form and have checks ready for the representative on 10/25. After-School Rehearsals apply to marching/concert band unless otherwise noted. There will be a short meeting for Queen of Hearts on Tuesday, 10/19/10 at 6pm prior to the booster meeting. The agenda will cover preliminary details on organizing the Queen of Hearts pageant. Please e-mail questions to Elizabeth McGinnis at mcginnis5@freemail.hu. The Queen of Hearts pageant is a major fundraiser for the band boosters, so your attendance at the meeting is appreciated. We are in need of a parent/guardian volunteer to pick up sandwiches at Chic-Fil-A in Leeds at 2:00 today and deliver to the band room to distribute to students as they leave the school after the parade. If you are available, please call the band room at 640-1995 and leave a message with your contact number. I will provide details then. 1:00 pm Return to buses and truck in chaperoned groups to change, stow equipment. Seniors retain uniforms in bags. Return to stands and begin chaperoned trips to concessions,restrooms. Bring a change of clothes in compliance with MJHS and MHS dress codes. Be mindful of the weather. Be sure to eat a late breakfast/brunch before arriving at the band room for roll call. We will not stop for lunch. Bring some extra money for visits to the concessions or vendors after our performance. We will not stop for supper on the return trip. Please disregard the Pell City Itinerary which was just posted moments ago. There has been an error in our classification. A corrected itinerary will be released shortly. Poinsettia Sale Deadline: October 20. Forms are available in the band room. Concert Band, Jazz Band, and Chair Auditions after school on 10/25/10. Audition materials distributed today in class. Moody Oktoberfest 10/30/10. Call time, band room, 7:30 am. Perform until 9:00 am, return to band room by 9:30. After school rehearsals Monday, Tuesday, and Thursday of this week. Thursday's 4th block rehearsal will move to the stadium field. Friday schedule: School dismisses at 12:00 noon. All marching members and chaperones report to the band room by 12:15. Buses leave for the parade by 12:45. Parade lineup at 1:00. Parade begins at 1:30. Return to band room by 2:30 and dismiss. Return to band room for roll call at 5:45. Alumni wishing to participate in stands at the game should sit in designated area. No school instruments are available for loan. Pell City Marching Festival on Saturday, 10/16/10. Schedule will be posted as soon as it becomes available. Performance time is likely mid-afternoon. December concert is scheduled for 12/5/10 in the MHS gym. Please note: only 3 weeks of actual rehearsal time between Leeds game and December concert. After-school sectional rehearsals begin during already-scheduled after-school rehearsal times and at TBA times in November. Schedule will be posted soon. Kudos to all who attended the U.S. Marine Band concert Friday night! You experienced the best. I was glad to see you there! Friday, 10/08/10: MHS vs. Talladega, Away. Marching Band and Auxiliaries report to the band room at the 3:00 pm bell. Dinner served. Depart by 4:30. Return by 11:00 pm. Homecoming Week Schedule Coming Soon! !